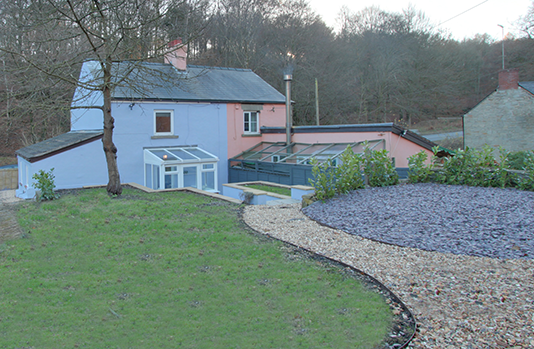 Lilac Cottage is an archetypal two bedroomed Forest of Dean stone cottage. Built around 1890 to house the family of a forestry worker, it now provides modern day luxury for that perfect get away holiday. The Forest of Dean occupies some 35 square miles of protected forest, Lilac Cottage sits in a small hamlet in the centre. Surrounded by stunning woodland it is walking distance to the village of Parkend, the RSPB centre at Nagshead, and is adjacent to the cycling track that winds its way through the Forest. The cottage is designed to provide a relaxed high quality home from home feel. 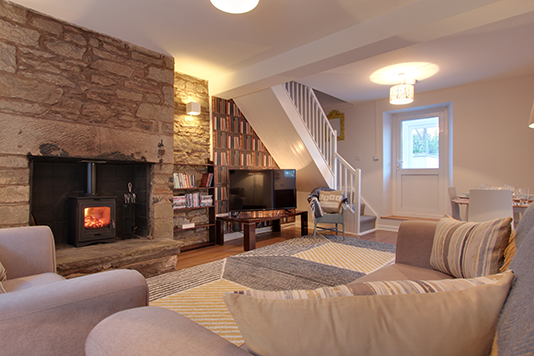 The log burner, decoration, lighting and comfy furniture coupled with the cosy bedrooms all combine to provide the perfect environment for a restful break – for peace of mind for bike riders there is secure bike storage, Dogs Welcome. If activity is more the focus, then there is for example, extensive walking; cycling, including easy through to extreme runs; canoeing on the Wye or the more gentle pursuits of bird watching at any of the three local RSPB sites; a visit to the steam railway; and much more. . . The historic town of Monmouth, some 25 mins away, offers a great day out with interesting museums, buildings and churches balanced with excellent restaurants and shopping. There are also many ancient sites to explore in the region – the Welsh border castles, Tintern Abbey, the cathedral city of Gloucester – while the Cotswolds, Brecon Beacons and the Malvern Hills are all within easy driving distance.